Penguin Books 80th Birthday: Allen Lane: Mercenary or Missionary? 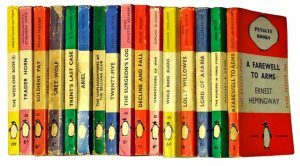 2015 is the 80th anniversary of the first Penguin Books. To mark this milestone, the Library has a selection of books and memorabilia from its collections on display. 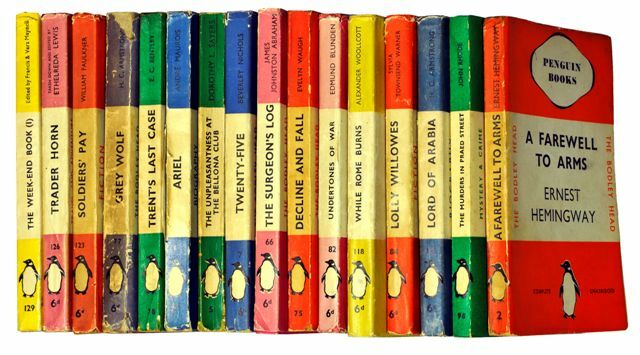 The Library is fortunate to have a collection of Penguins which is almost complete up to 1960 thanks to Dr Angus Mitchell, former Chair of the University Court, who donated his collection to the Library some years ago. To accompany the exhibition, Professor Alec Spencer, Penguin collector and creator of the Penguin First Editions website http://www.penguinfirsteditions.com/, will give a lecture, ‘Penguin Books 80th Birthday: Allen Lane: Mercenary or Missionary?’ on Thursday 4th June at 6pm in the Enterprise Zone in the Library. Wine and soft drinks will be available. Please contact Helen Beardsley by 27th May to reserve a place (h.r.beardsley@stir.ac.uk, Tel. 01786 467236). The exhibition will be in the Library until the end of June 2015.